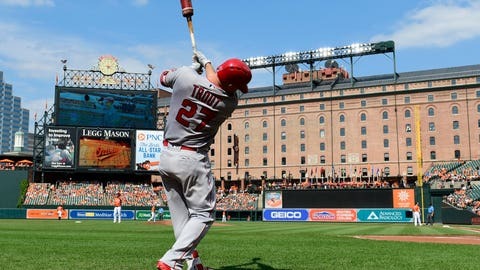 Mike Trout will be in the Hall of Fame when his playing days are done, that we have no doubt. It’s for reasons like this. Check out Trout’s spray chart from all of his at-bats from the month of June. Mike Trout used every means necessary to deliver one of the most impressive months baseball has ever seen, posting an on-base percentage nearing .500 in June.